Sascha Henry is a partner in the firm’s Los Angeles office. 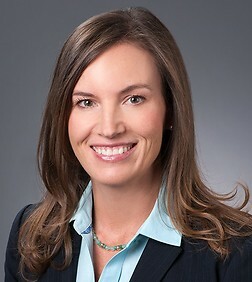 She is Practice Group Leader of the Business Trial Practice Group, leads the firm's food and beverage industry team, and leads the consumer class action defense team. She recently prevailed on a motion for summary judgment in a putative nationwide class action that the client misled consumers about the fill of its beverages. She prevailed on a motion for summary judgment in a putative class action alleging the client, a national restaurant chain, misled consumers about its food. She also prevailed on two motions to dismiss in false advertising class actions, arguing that no reasonable consumer could be deceived by the alleged description of a beverage size. She defeated class certification of an alleged nationwide class action involving allegations of false labeling of food. She argued a case before the California Second District Court of Appeal, and the court then affirmed summary judgment in favor of the client in a complex business matter. In 2011, she prevailed in a complex business fraud case, resulting in a jury verdict of over $300 million for the client after a lengthy trial. Sascha has also litigated disputes regarding trade secrets, shareholder rights, privacy rights, defamation, truth in lending laws, sovereign immunity and Insurance Code violations. She also counsels clients regarding business practices as they relate to consumers of goods and services. Sascha's experience includes litigating in state and federal trial courts, as well as appellate work in the California Court of Appeal and the Ninth Circuit Court of Appeals. Represented national restaurant chain in class action over alleged false advertising. Prevailed on motion for summary judgment, and defeated class certification. Represented national restaurant company in class action over alleged false advertising. Represented beverage retailer in two false advertising class actions. Prevailed on both on motion to dismiss. Represented supplement manufacturer in false advertising class action relating to product labeling. Prevailed on motion to dismiss. Represented national restaurant chain in false advertising class action relating to menus. Defeated class certification and matter resolved favorably for client. Represented supplement manufacturer in false advertising class action. Prevailed on motion to dismiss. Represented cosmetic manufacturer in false advertising class action. Resolved by favorable settlement. Represented insurer in class action alleging class was owed interest on deposits paid. Prevailed on summary judgment and judgment was affirmed on appeal. Represented law firm in class action against allegations of malpractice. Resolved by favorable settlement. Represented storage facility in class action against allegations of statutory violations related to insurance program. Resolved by favorable settlement. Represented internet-based company in class action alleging false advertising and unfair business practices. Resolved by favorable settlements. Represented lender in class action alleging class members' privacy rights were violated. Prevailed in arbitration, and judgment in favor of client was affirmed on appeal. Represented app developer in class action alleging class members' privacy rights were violated. Case against client dismissed. Represented lender in class action alleging class members were deceived into paying undisclosed fees. Prevailed on summary judgment, and judgment was affirmed on appeal. Represented real estate developer in dispute regarding sales commissions. Prevailed on summary judgment and judgment was affirmed on appeal. Represented insurer against policyholder in complex fraud and deception case. Prevailed after lengthy jury trial. Represented technology company in license dispute. Resolved in client's favor. Represented lenders in connection with fraud committed by borrowers. Resolved by favorable settlement. Represented manufacturer in complex dispute with distributor. Resolved by favorable settlement. Represented on-line marketing service in dispute with marketing vendor. Resolved by favorable settlement. Represented pharmaceutical company in dispute with vendor. Prevailed in arbitration, and judgment in favor of client was affirmed on appeal.